At the time of her launch in 2011, sail yacht SARISSA was the largest carbon sloop ever built in the Netherlands and remains as impressive today as the day she splashed down. Designed by Bill Tripp with interior by Rhodes Young, sailing yacht SARISSA sleeps up to 10 guests in two double cabins, a triple cabin (best suited for children with an adjoining single nanny cabin), and a convertible office/cabin forward of the saloon. 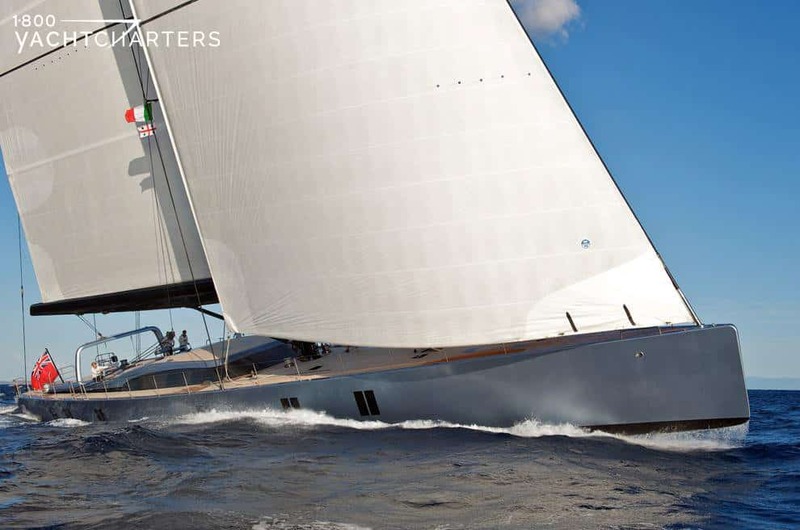 The weekly charter rates for charter sailboat Sarissa are €115,000 high season and €105,000 low season. For further details and a sample itinerary, contact 1-800 Yacht Charters for your free consultation. 1-800 Yacht Charters is the only superyacht charter company to offer a Best Price Guarantee, and a portion of your yacht charter fee is donated to a marine charity or to those in need in your area of charter, in your name. We’re working together to make a difference!